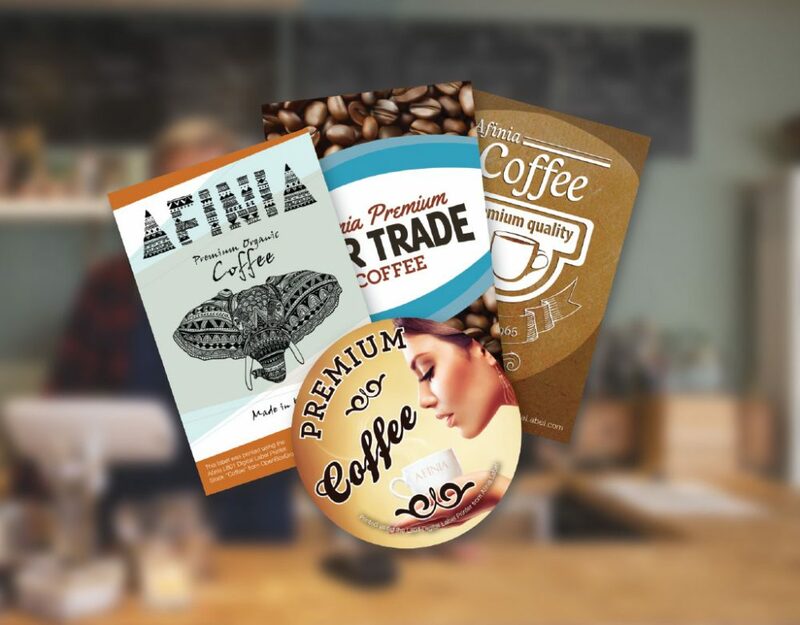 A coffee roaster/retailer needed the ability to produce batches of professional labels for several seasonal blends of its flagship brand, but also needed to private label coffees offered through distribution. In order to meet these requirements, the coffee roaster needed to purchase a digital label printer. The Memjet-powered Afinia Label L801 Color Label Printer with rewinder. The quality of their in-house-printed labels is better than the outsourced product, with brighter, more accurate colors, and increased legibility. The Afinia Label L801 prints up to 240, 4”x6” labels/minute, which is 20-times more productive than other label printers. The roaster easily prints enough professional labels to match their daily production schedule in about 40 minutes (including setup and label stock changes). We have a large variety of flavors, and are adding new products every month. Outsourcing the printing of our coffee labels was beginning to be a burden. In addition to managing the purchasing and inventory of different labels for all of our flavors, there were set up fees, shortages and delays. … The Afinia L801 Color Label Printer simplified that process. Now we print what we need, just in time for shipment. Were unable to release new coffee varieties and roasts as frequently as their competition. They can quickly test-market new flavors at an incredibly low cost. Lost private labeling opportunities such as special events, seasonal promotions, and holiday sales. Can quickly provide special promotional packaging and private labeling. Able to print the exact number of labels needed, eliminating waste.